When a company's share price crashes in the wake of a public health scare, it can take a long time for the business to rebuild a reputation seemingly wiped out overnight. Case in point: Chipotle Mexican Grill Inc. It was brought to the public's attention last Friday that the restaurant chain was linked to an E. coli outbreak in the Pacific Northwest. Stocks to Buy: Should Investors Grab Some McDonald's (NYSE: MCD)? Investors were cool to McDonald's vaunted turnaround plan, which was intended to chart the fast food giant's course to outperformance over the next several months. McDonald's boss Steve Easterbrook's turnaround plan failed to convince many investors that the company has found a coherent direction. 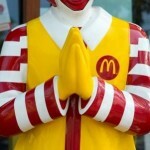 Shares of McDonald's (NYSE: MCD) stock fell more than half of a percent after he unveiled the plan on Monday. When McDonald's Corp. reported earnings last week, it missed terribly by almost every metric possible. Unless you like Vegas-style odds, that's not a bet I'd recommend you make. Investors fought over the IPO shares of Shake Shack like kids fighting over a McDonald's Happy Meal. Initially priced at $21.00 per share, Shake Shack stock ended its first day of trading up over 100% at $45.90, moved to just north of $52 per share, and even after an inevitable pull back is still ahead nearly 95%. The very trends that are pumping up Shake Shack's shares have left those of McDonald's, the most iconic name in hamburgers and perhaps in the entire global restaurant business, becalmed. 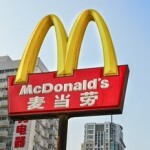 McDonald's Corp. (NYSE: MCD) has for years been one of the best stocks to buy because of its expansion into high-growth areas like China. 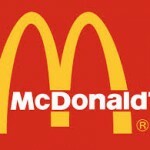 But today (Monday) MCD reported a 0.5% drop in global sales at restaurants open at least 13 months. Once one of Money Morning Chief Investment Strategist Keith Fitz-Gerald's favorite stocks to buy, the fast-food chain's latest troubles have changed his views. To hear more of Fitz-Gerald's thoughts on MCD stock - and whether he thinks Chinese e-commerce giant Alibaba is now among the top stocks to buy - watch this video. Best stocks to buy for the week ending Sept. 26, 2014:Last week for Money Morning Members, we highlighted 9 stocks that bring readers the "best of the best" to boost their portfolios in the fall months. I believe McDonald's (NYSE: MCD) stock still has its best days ahead of it. You won't hear it from the mainstream financial media, where a sense of doom and gloom over the company has settled in because of a 3.7% downturn in global same-store August sales - the worst since 2003. But McDonald’s stock still makes one heck of an investment if you’ve got the right time frame. McDonald's Corp. (NYSE: MCD) stock opened down slightly this morning following news that the company's global sales in July slipped 2.5%. 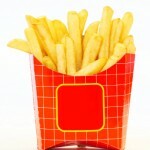 The July sales figures are not surprising given the expired meat scandal in China that the company faced in late July.